It's that time of the year when we celebrate Ganesh Chaturthi and every year, I do my best to make chavde. I haven't yet but that's what I'll be busy with over the weekend. I will be several days late but my father always said that the good Lord would understand! Besides, the festival lasts for 10 days, ending on Anant Chaturdashi. That used to be Medha's prayer when she went to the temple as a toddler. And every time, her Dad would ask her: Well, what about Mumma? Pfffft! She is already as wise as anyone could possibly be! 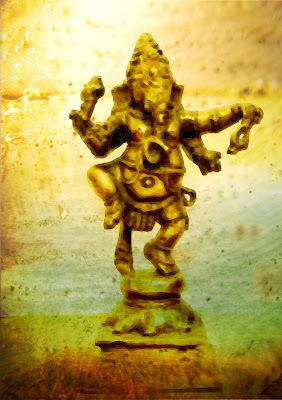 If you are celebrating this festival, I hope you brought home green Ganpatis or are using your metal idols instead of the kind that will clog the rivers and muddy the seas. What treats did you make? Do you have any plans to make more goodies over the weekend? Have a good celebration and I hope the naughty God brings much prosperity to you and yours! It's been a hot and hectic summer for us. A family reunion, a road trip that included cabin and tent camping, the aftermath, and summer camps for Medha that included a cooking camp. I now have a very enthusiastic helper in the kitchen. We are now into the third week of school and all the extra curricular activities will move into full throttle from now on. Even though it isn't officially fall, we're slowly slipping into fall-like weather. The nights are cooler and while the days are warm, they aren't as hot as summer. And it is still perfect weather to watch summer fade away, armed with a drink and lots of bug spray out on my patio. 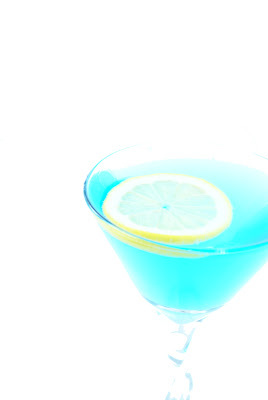 My drink of choice lately has been very reflective of summer and bright colors! Blue Haze. These colors remind me of The Daily Tiffin makeover. If you haven't seen it yet, you should check it out as soon as possible. Hats off to Suganya and the DT team for putting new fire into a blog that is an amazing resource for tips on healthy living. 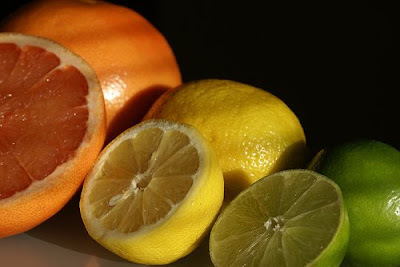 I wasn't sure if this should be my entry to CLICK: Citrus, for which I am fashionably late. I can't even claim to be operating on IST because that is 11 and half hours ahead! But since I am a judge and my entry will not be scored, I am hoping the CLICK Gods will forgive me my offline commitments! The first of these two is my second most interesting picture, has the most favorites and comments amongst all of my pictures on Flickr. It was, however, largely ignored when I submitted it to DMBLGIT. The second one could have been executed better and I hope to get to it one of these days. I did want something more and I think I hit it with this picture, which I call Lime Light. 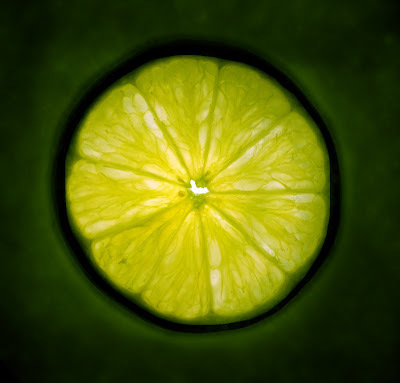 It's different from my usual high key and since I do love to be in the lime light, in the virtual world, I think it is a fitting entry to CLICK: Citrus. Now, if I weren't so late, I'd ask you to do your bit and post your entry soon. You still can, just make it something crusty, ok?